Australian chassis suppliers are gearing up for a roaring 2016 following a relatively stable amount of sales 2015. Suppliers say major changes to State Government buses could see a noticeable rise in the number of new buses purchased. But while suppliers know the State Government approval process can be lengthy, they refuse to rest on their laurels and have come up with a range of services to boost presence in the marketplace. This includes the introduction of new product lines, a focus on after-market care and one supplier is now offering a driver training program specific to its vehicles. ABC magazine spoke to some of Australia’s leading chassis suppliers to find out what to expect this year. The year of 2015 was challenging – as expected – for relatively new Australian supplier Patico, who is best known nationally as Optare. "Patico’s objective in 2015 was to have homologated and available a range of bus and coach products, that allow an offering to the market from 16 seats to full coach," says Tony Fairweather. "This was achieved with the exception of our new coach product being introduced in 2016. "We were expecting a competitive and challenging market place in 2015, which was delivered, however this allowed Patico to explore new sectors and the CTO/Special Needs sectors have proven very exciting." Fairweather is expecting a similar outcome for 2016, although Patico will be introducing a new range of vehicles. "To be honest, we think 2016 will be more of the same. A slight strengthening of the AUD would be nice," he says. 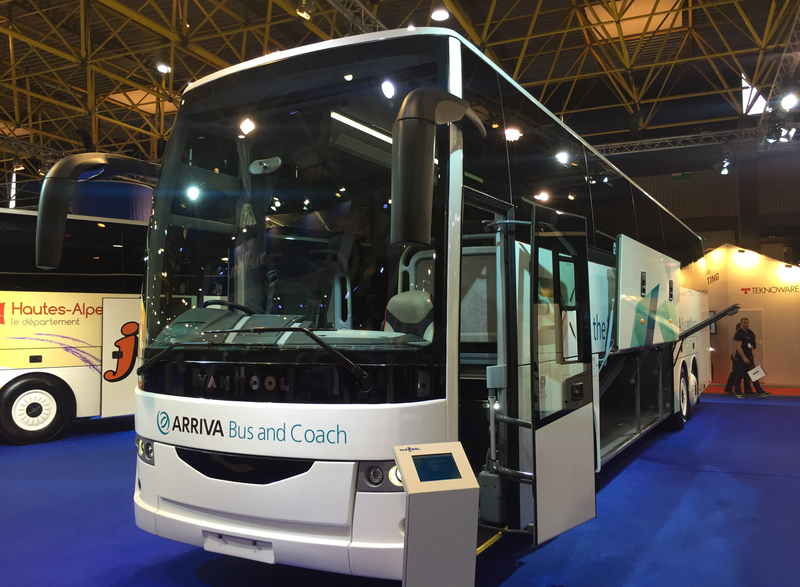 Patico will launch Van Hool’s integral EX range in the second half of 2016, completing the supplier’s range expansion strategy for the time being. Scania Bus and Coach is expecting a booming year for 2016 following on from the success of initiatives implemented last year. National manager retail Julian Gurney says there were many highlights for the supplier in 2015, including the successful delivery of the first fleet of Euro 6 buses to ACTION in Canberra. Scania has also continued to successfully present the Scania-Higer A30 to regional and rural school bus and charter operators and the results have been in line with expectations. "At this stage we envisage ending the year with a total of 250 A30s on the road in Australia since launch in 2010," says Gurney. "That is a significant milestone for Scania Australia and underscores the suitability of this all-Scania product." From a services perspective, the suppliers rolled out a new offer called Driver Services which offers a menu of efficiency-oriented services driven by the on-board Scania Communicator ‘black box’ fleet management system. "We are very excited by the potential this technology offers our customers in terms of asset management, efficiency improvements, reduction in wear and tear and driver fatigue, as well as boosting road safety and passenger comfort," says Gurney. "We will be putting additional effort into driver training and our new follow-up coaching concept during 2016." Scania also extended the reach of the driver training programme further than ever, sending driver trainer Alana Mountfield to Niigata Kotsu in Japan to deliver training on articulated buses just introduced there. "These Australian bodied buses are built on a Scania chassis. The training was well received, and very effective, despite the language barrier," says Gurney. Despite the success of the year, Gurney says there has been a slowdown in the market overall. "The pace of purchasing by Government Contracted Operators in New South Wales has been very slow in 2015 as the operators awaited the commencement of the procurement panel, which kicks off December ," he says. "We are happy to say that our submissions have been accepted for City Bus, both Metro and Regional, as well as Cat 3 & 4 Rural and Regional School Buses. "We anticipate a rush of orders once the procurement panel portal is opened. However there is always a delay between order and delivery of a chassis and then another delay before the body is built and commissioned, so you will probably only see the impact of these orders mid-way through next year." Driven by the backlog of bus replacements in NSW by all bus operators suppliers should see a stronger sales result in 2016, according to Gurney. "The Victorian market remains buoyant as does the QLD market but WA is slowing, especially in mining. "We have developed a very strong series of after sales offers for our customers across Australia and these are having an impact: from genuine parts sales to servicing and maintenance programmes, to service exchange and fixed price component repairs or exchanges. "These serve to underpin our promise of maximum uptime." In addition, Scania will be making some changes in other areas that will help to make the purchase of a Scania vehicle more appealing and possible for more operators this year. Gurney says Scania will continue to evolve their offering to the market through 2016. "We hope there will be other state or private operators who wish to embrace Euro 6 as it provides the perfect opportunity to make an impact on improving air quality in densely populated urban settings," he says. "We look forward to state bus operators reviewing their 20 or 25-year operating life programmes, to be more in-line with Europe, which would help move more older, higher emitting buses off the roads in urban centres." He also hopes to see open discussion regarding axle weight limits and combinations to allow suppliers to offer more innovative solutions to Australia’s potentially burgeoning public transport sector, which will assist the reduction in traffic congestion and emissions, as well as speed-up travel times for all. "We would like to see more open and forward-thinking debate around express routes and mass transit solutions where buses can play a cost-effective role, as well as be able to be deployed far more quickly than other infrastructure-dependent solutions - solutions that may look great on paper, but which are unfeasible from a budget perspective," says Gurney. Volvo Bus Australia is another supplier which is hoping to see some leverage with the New South Wales Government this year. Some of the highlights of 2015 for the company included the joint Bus Industry Confederation (BIC) Supplier of the Year award with CMV, the launch of the Volvo/Volgren double decker into the local market and delivering the company’s first Euro 6 vehicle to La Trobe Valley, Victoria. 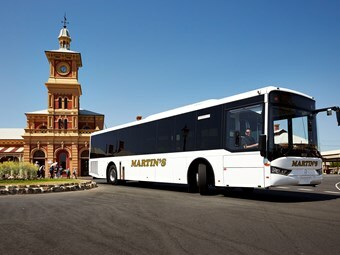 Volvo Bus Australia general manager Sean Copeland says although the market is down by 9 per cent on 2014 volume, he supplier is extremely satisfied with its performance in 2015. "There is some uncertainty within the market due to such factors as the NSW Procurement Panel being open so late and NSW operators have not been informed of the volume of growth buses that have been allocated," he says. "Queensland operators are still not buying in Volume due to Negotiations of existing contracts and this won’t be finalised until sometime in Q1/Q2 in 2016." At this stage the volume for 2016 in the overall market will be similar to 2015 Volumes, according to Copeland. "From a legislative perspective I think that there will be a lot of activity in relation to harmonisations of weights from a national perspective." The year of 2015 was also an opportunity for Mercedes-Benz Truck & Bus to launch some product in Australia. "We launched the exciting new Mercedes-Benz Euro 6 O500LE low entry city bus as well as the Mercedes-Benz O500RF for the school and charter market," says director Michael May. "Importantly we also achieved PBS approval through NHVR for the Mercedes-Benz Citaro (2.55m) trial with the Brisbane City Council." May says the market ended up being in line with the supplier’s expectations in that it was largely static and followed the same basic pattern as the previous year. He expects this to continue in 2016. "Our view is that it will be largely the same as 2014 and 2015 in the school and charter segments. "We do feel there is a sense of positivity among the operators given the appointment of Malcolm Turnbull as Prime Minister with a renewed focus on public transport, although it is not clear how much of an effect this will have on sales in the short term." Mercedes-Benz Truck & Bus expects the market to continue to be generally stable. "From our perspective, our innovations include further roll-out of our fuel efficient and lower emission Euro 6 chassis product as well as our advanced Citaro bus, which is on trial with Brisbane City Council," says May. "The Citaro is really exciting as it is a complete bus with lower whole of life costs, driver protection, excellent passenger comfort and a Euro 6 engine that has lower emissions and is also more fuel efficient." The supplier plans to introduce a new chassis range running the fuel efficient Euro 6 engine for school, coach and city bus operations this year. Mercedes-Benz Truck & Bus is also preparing to introduce more models, with seating options of between 12 and 15 seats.